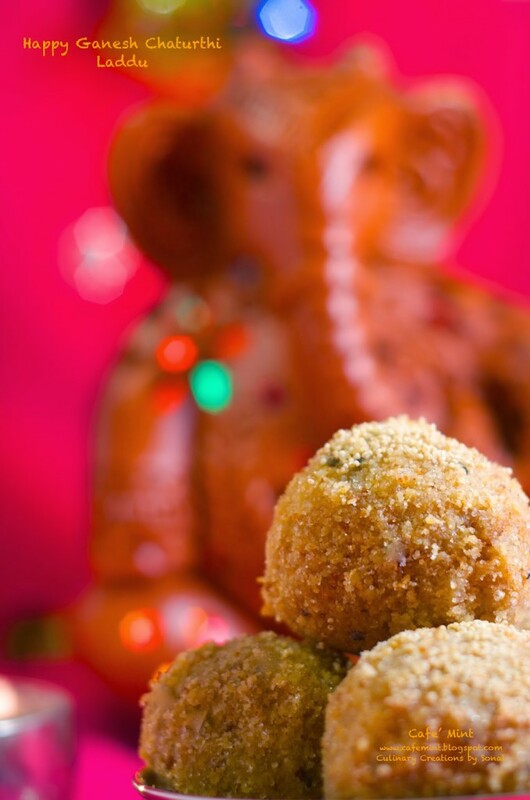 Churma Laddus and Ganapti ji’s and everyone else’s favorite. This are lovingly made by Mom so this is a guest post by Mom. Yummy to the core – try it! Mix the whole wheat flour and besan in a bowl. Add 1/8 cup of ghee or oil in it. Prepare a tight dough using warm water as needed. Make fist shaped balls from the dough. 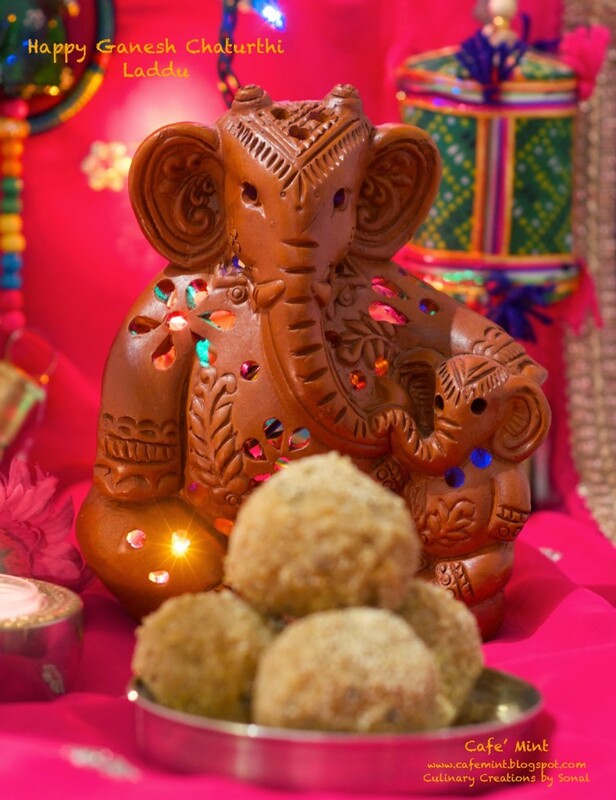 Heat oil or ghee (we used oil) and fry the dough balls on medium heat, until these are brownish in color. When fried, remove from oil and keep these dough balls aside until these cool down a bit. Using a food processor/grinder, grind all these balls into a fine powder. Sieve the powder such that there are no lumps. Add powdered sugar, cardamom powder, and powdered nutmeg into the powder. Mix well. Add 1/8 cup of warm ghee. Bring the powder together to shape these into desired shaped laddos. Use more ghee if needed. 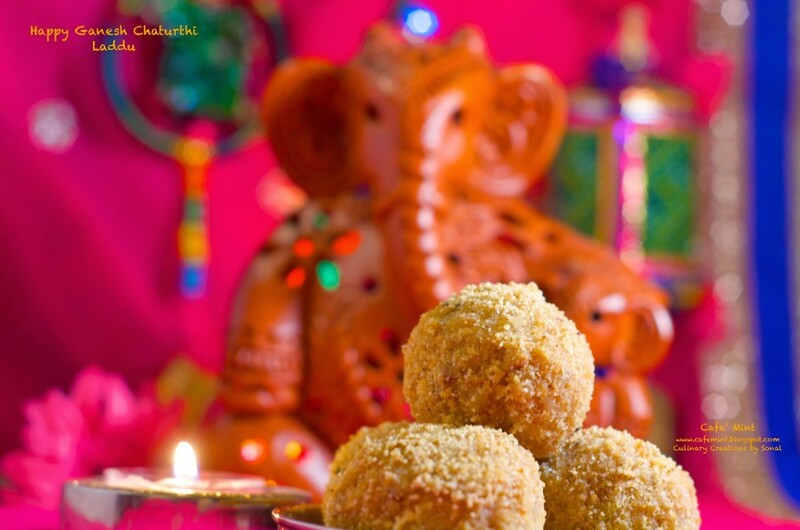 Roll the laddus in khuskhus.